Posted at 11:50 am by Yummytums! I know that pumpkin bread makes some people think of autumn. But I figure there’s no reason not to enjoy a good thing year-round! I’ve been making this spiced pumpkin bread for many years; it’s one of my favorites. 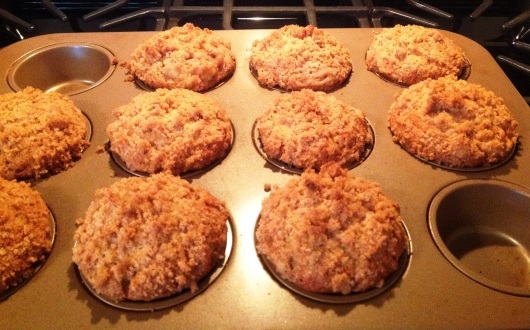 I love all things pumpkin — lattes, muffins, pies, etc. — and I enjoy the spices in this quick bread. Cinnamon, nutmeg and cloves are a wonderful combination, with the added benefit of making your kitchen smell divine. 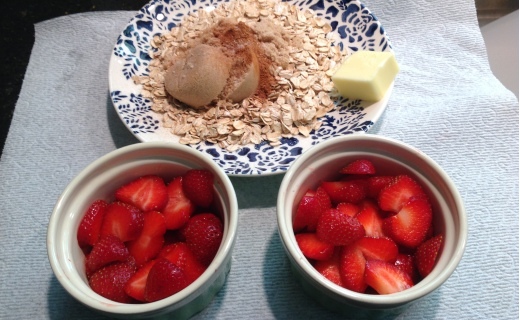 I don’t recall where I got the original recipe for this bread, but over the years I’ve made some changes to make it healthier, such as substituting whole wheat flour for most of the all-purpose and reducing the amount of sugar. 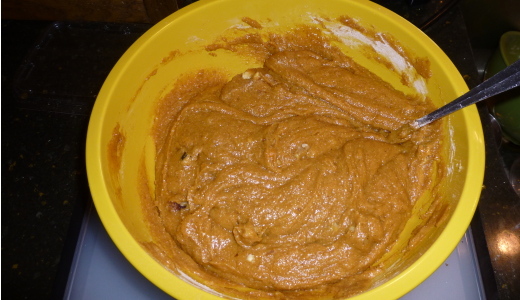 The end result is a moist pumpkin bread with complimentary spices and a crunch from the walnuts. It’s hard not to eat a whole loaf by myself! This recipe makes two loaves, so it’s perfect for sharing. Preheat your oven to 350 degrees. 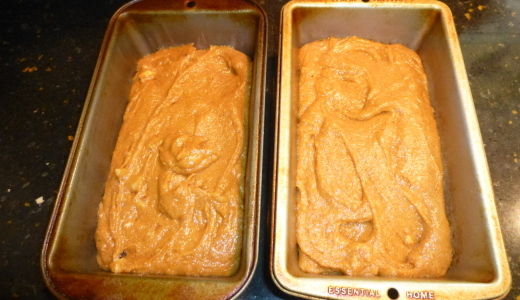 Spray two 8″x4″ loaf pans with flour-infused cooking spray. Mix the oil and sugar in a large bowl. Add the eggs and pumpkin and mix well. 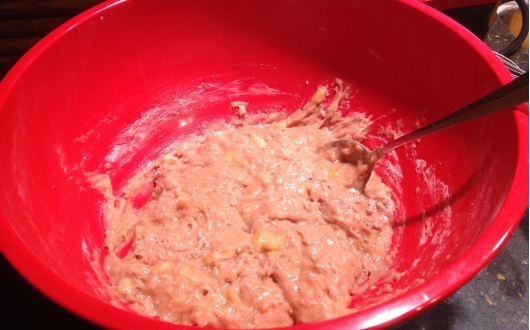 In a separate bowl, combine the flour, cloves, cinnamon, nutmeg, salt, baking soda and baking powder. 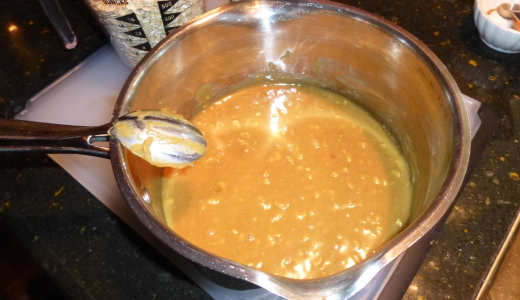 Pour the dry ingredients into the wet, mixing gently until combined. Add the chopped walnuts and stir. The batter will be thick. 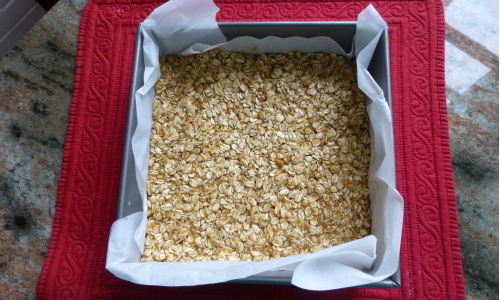 Pour equally into the two loaf pans and bake for one hour to one hour and 10 minutes. During the last 10 minutes of cooking time, check for doneness by inserting a knife into the center of the bread. If it comes out clean, it’s done.